With the rapid growth of internet penetration, the trend of buying car insurance online in India is upsurge at the moment. There are thousands of car-owners that seek car insurance in India in order to stay financially protected from eventualities like car-theft or road-mishaps. Prior to making a purchase, car-owners compare car insurance online and try all possible means to not get ripped and make a profitable deal in the end. However, during the process of selecting the best car insurance online many misconceptions spring up. And, these wrong notions more often than not hurt policy buyers badly at crucial times. You have recently bought a vehicle and looking for a comprehensive car insurance policy online or you have been driving your car for years and now searching for a new motor insurance policy as the time for car insurance renewal is knocking on the door. In case, your mind is clouded with any of the popular falacies associated with auto insurance in India. its time to drive your mind back into the right track by learning the truth. Yes, everyone admits that you are a good and safe driver as your previous driving record is flawless. But, can you say the same for the hundreds of drivers on the road? Can you guarantee that you will never meet any accident just because you have not yet faced one? Chances are high that your answer to both questions is no. Aside from covering your third party liabilities, a comprehensive motor insurance policy will safeguard your own car from any damage on the road. In case you have got a high-end car and it gets damaged by other vehicle on the road you don't have to spend a lump sum if you are armed with a quality car cover with good coverage. 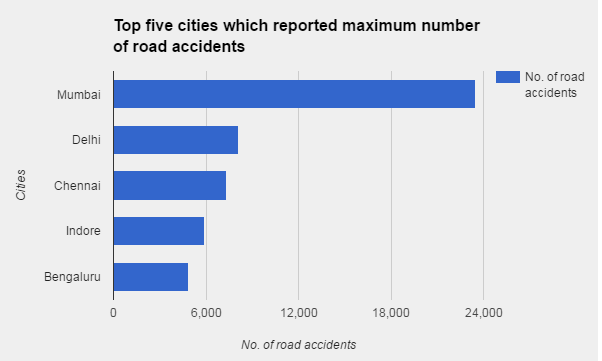 According to the stats, Indian roads witnessed 5,01,423 accidents in 2015 which is higher than the tally of 4,89,000 in 2014. With this increasing rate of road mishap it does make sense to opt for a comprehensive motor insurance. Typically, people those who have been driving their own set of wheels for many years tend to think like that. While it is true that paying premium for an old car is much like feeding an elephant in your backyard you should also consider the possibility of theft. Thieves are very fond of old cars as they find it easier to sell the parts off. The rate at which cars get stolen in India is unbelievably high and will force you to reconsider a comprehensive vehicle insurance policy for your old mate. 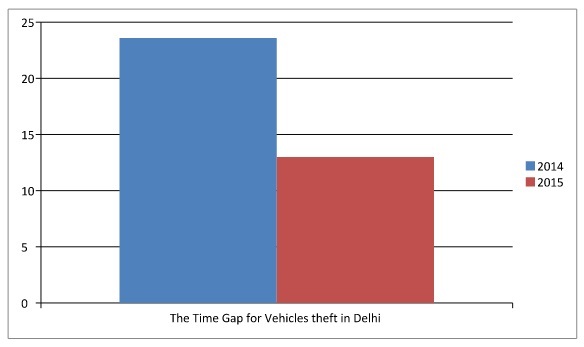 In Delhi, one vehicle was stolen in every 23.6 minutes in 2014. But in 2015, a vehicle got stolen in every 13 minutes. Hence, even if your car has grown old, it still deserves a comprehensive cover. Thieves usually prefer those cars that come with great re-sale value. Popularity of the make and model is another important factor as well. In a survey conducted in recent times revealed the cars in the top of the list of stolen cars. If you are the owner of any of the cars listed above, you have to remain extra cautious and consider a comprehensive plan no matter how old is the model. This misconception has cost many car-owners in India. No car insurance company in India pay out the whole amount without deducting for the depreciation. There is a IRDA approved chart of depreciation as per the age of the car. Needless to say, the older a vehicle gets, higher becomes its depreciation rate. In case your car meets an accident gets damaged the claim amount that you will get from your insurer will continue to decrease as the age of your vehicle increases. An example will give you a clearer picture. Mr. Kumar bought a car some years back and availed a comprehensive car policy. His car once met an accident and the total expense of repairing was Rs. 2.0 Lakh. Mr. Kumar received Rs. 1,50,000 for the claim after the depreciation deduction. He had to spend Rs. 50,000 out of Rs. 1.5 lakh. But, if you avail a zero depreciation add-on cover alongside your base cover you can get the full claim paid because your insurer will not deduct anything for depreciation. However this zero depreciation add-on comes with some limitations and can be availed for new cars only. Many car-owners make the mistake of considering car insurance associated with their vehicles. In reality, the policy and all the benefits attached with the policy belong to the car-owners. Hence, if you have accumulated NCB you can keep it in tact even if you switch to a different car insurance company. The amount of NCB you can gain in a period of 5 years is 50% and your decision to change the car insurance provider will not take any value away from it. You can make good use of this NCB to reduce the premium on the 'own damage' part of your comprehensive motor insurance policy. However, you need to file a claim to transfer your NCB within 90 days after the expiry of your car insurance contact with your previous insurer. And, the transfer of NCB is only possible between two vehicles of same category. If you have a four wheeler you can carry the accumulated NCB forward to another four-wheeler vehicle only. This is another popular misconception. As long as the vehicle is insured and is driven by someone with valid license, your car insurer in India is bound to pay out the claims. The absence of a valid license is the main issue. So, if you being the policyholder, don't hold a valid license at the time of a mishap your claim will be denied as well. On the contrary, you would be punished for not carrying a license while driving. Car insurance claims in India are honoured only if the vehicle is used for its registered purpose. If you register your car as a private car but use it as a commercial vehicle, your insurer will not pay you a penny if you make a claim in case of an accident or theft. And, your car insurance policy is valid in India only. So, if you want to take it abroad you have to ask for required permission and your policy will cease to have effect in that case. This is far from being the truth. The colour of the vehicle has nothing to do with the premium rate and no specific colour does influence it. So, if you buy a red car or a green or yellow one for that matter you will have to pay the same premium as long as other factors such as the make and model, cubic capacity and city of registration remain the same. These are the most widespread and commonplace misconceptions about car insurance in India. Once you steer clear of them you can buy the best car insurance in India at the lowest price and can also make the most of all the benefits on offer. The key to locate the best car insurance in India is comparison. To compare car insurance online, your best bet is GIBL.IN, the premiere online insurance marketplace where you can get a list of quotes in just 2 minutes whether you seek a fresh motor insurance plan or you need to renew car insurance online.